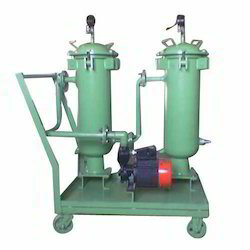 Pioneers in the industry, we offer pressure filter housing from India. We are one of the leading manufacturers of a wide range of Pressure Filter Housing to meet all the requirement of large capacity filtration needs, including high flow and heavy sedimentation application. These filters incorporate filtering equipments such as Paper Cartridge, Washable Cartridge, and Stack Type Filters. It is provided with extra large housing which allows for greater cartridge capacity, thus reducing the number of vessels required for high flow-rate applications. Superior in performance, our pressure filter housing are used to achieve final filtration level. Looking for Pressure Filter Housing ?